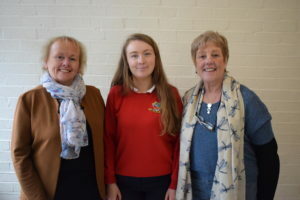 Safe travels to our 5th-year student, Jane Ryder, who is traveling to Lourdes during the Easter with HCTP (Hosannah House and Children’s Pilgrimage Trust). She will be working with young children who have disabilities or are disadvantaged. Well done Jane.